Spring is definitely bursting out around us. We have got the first of the daffodils and cherry blossom and from my window I can sit and watch the magnolia coming in to bloom. It is also the time that programmes start appearing for all the conferences and festivals taking place in the next few months. For publishers and real aficionados then Bologna is the place to be in the spring, closely followed by the London Book fair in April . Oxford is about to have its Literature festival and I am looking forward to the Federation of Children’s Book Groups conference just after Easter. I can’t quite believe that Easter is almost upon us, but at least it hopefully brings a little time to sit and read a good book, or several if you are really lucky. 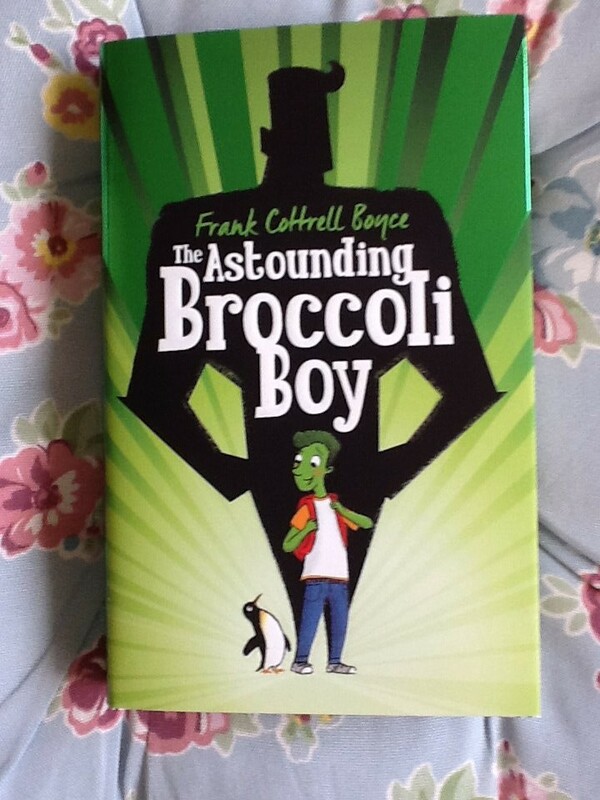 it seems amazing that it is about 4 months since I had the privilege of reading “The Astounding Broccoli Boy” by Frank Cottrell Boyce as a proof on Netgalley. 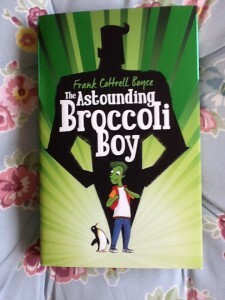 A really great story with all the humour and adventure that we have come to expect from the author. The hero, Rory, always tries to be prepared for everything, but how do you prepare for turning green? He and two other children are put in isolation whilst the adults try and sort things out, but the children have other ideas make nightly escapes to see what is going on. A really great adventure. 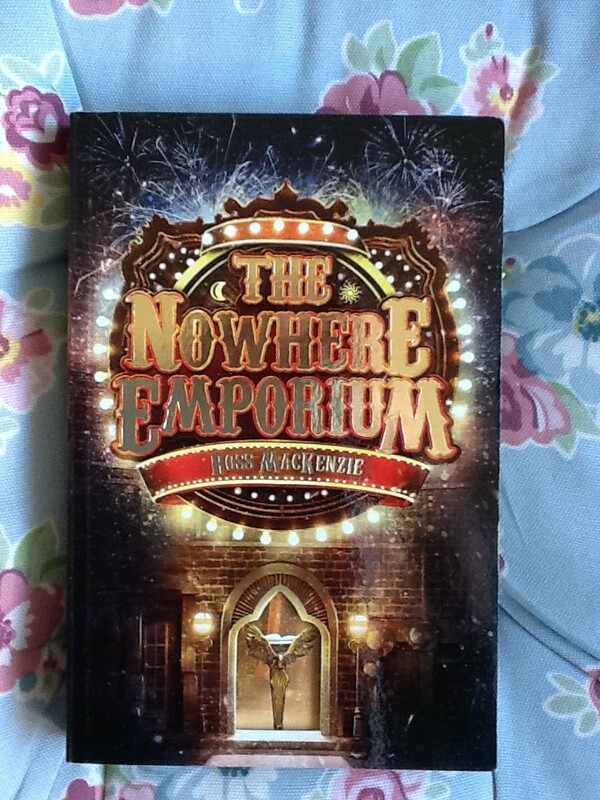 “The Nowhere Emporium” by Ross Mackenzie is the latest offering from the Kelpies imprint so I was really keen to give it a try; it is fair to say that the publisher has never disappointed me with the stories they produce. 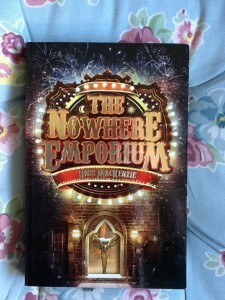 This is the story of Daniel Holmes who is taken as an apprentice by the mysterious Mr Silver, the owner of the Emporium. There is magic in this book and it takes you on a roller coaster of a journey as the heroes try to evade the creepy and evil Vindictus Sharpe. A wonderful story which leads us through an amazing world of imagination. 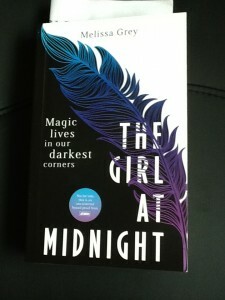 “The Girl at Midnight” is a book for older readers, written by Melissa Grey and featuring a young girl called Echo who lives an underground life as a pickpocket and thief. This is a parallel world of the Avicen, who have a slight covering of feathers, and the Drakharin, descended from Dragons and with remnants of scales found on their hands and heads. There is a long history of warfare between the two peoples and it looks ready to flare again as they both search for the mythical Firebird. There is lots of action and unlikely alliances and whilst this took a while to get in to, I ended up loving it and I can’t wait for the next episode of the story to appear. 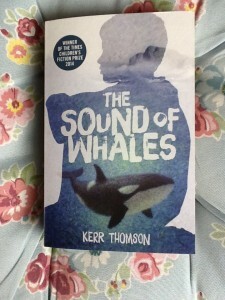 This is a superb first novel by Kerr Thomson full of action but also full of heart and emotion. 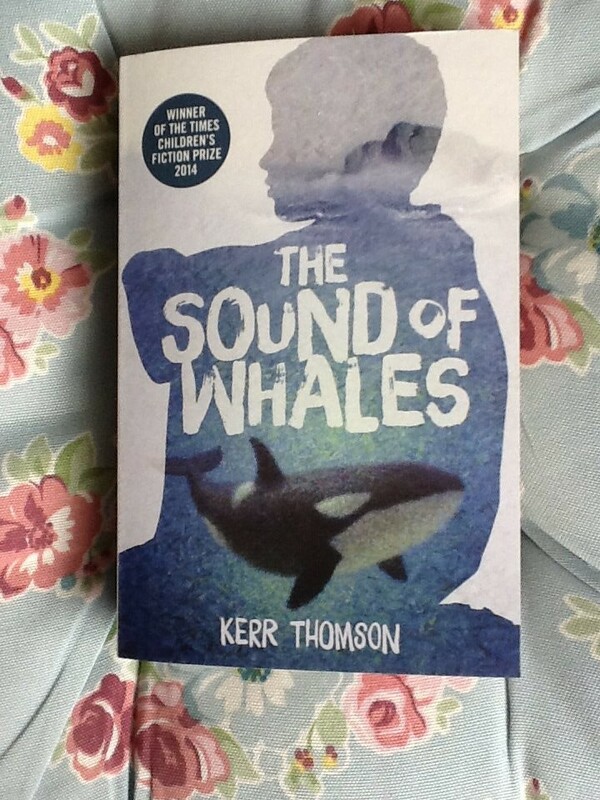 There are several intertwined stories which all link to a teenager called Fraser and his slightly younger brother Dunny, who has never spoken and has a total fascination for whales. We are faced with people smugglers, a wonderful evocation of life on St Ninian’s, off Shetland and a reminder of the importance of friends and family. It is the kind of book that just creeps up on you and then really takes root. I have a feeling that I will be recommending this to a few people in the future. 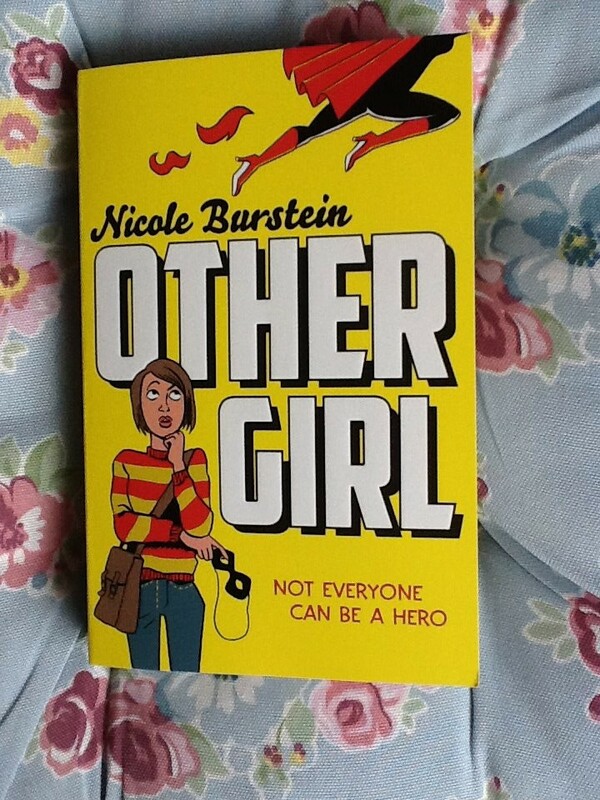 this is a great read and is all about the strength of friendship, even when your BFF (best friend forever) happens to develop superpowers. 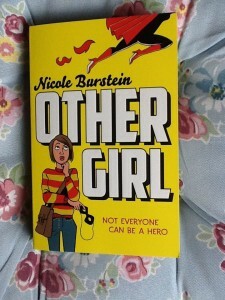 There are times of great humour in this book, but the author has also included a darker side as the villain tries to force Erica (aka Flamegirl) into destroying buildings and people. Luckily the goodies live to fight another day and also get a first date. 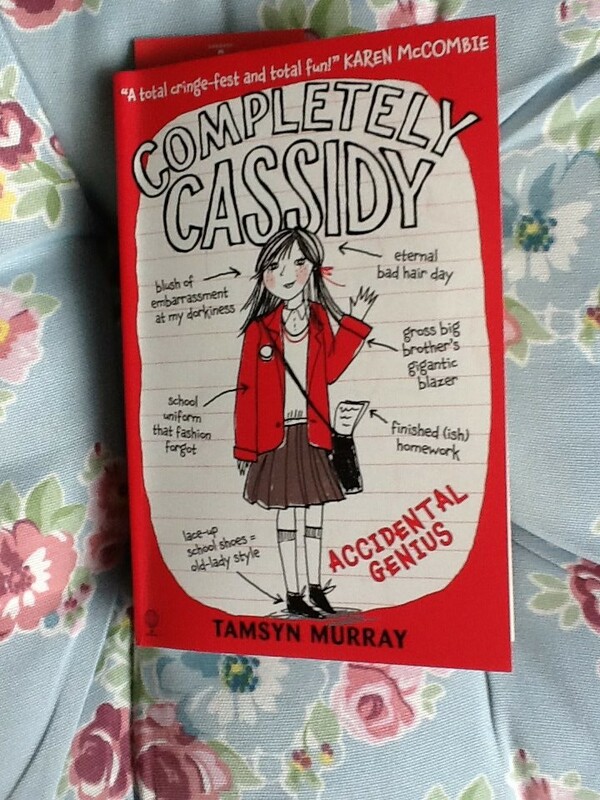 Whilst the heroines are in their teens I think this would be great for anyone from about 9 years. 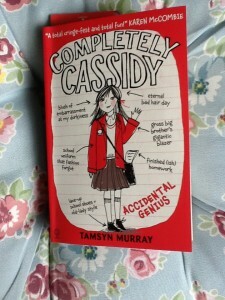 I have read some of the author’s books for teens but this is the first in a new series for the pre-teens and it is centred around the worries and fears of Cassidy as she faces her first term at secondary school. She also has to cope with the fact that her mother is due to have twins at Christmas and her elder brother is a complete pain. It is a lovely story which centres around the bonds of friendship and how things are not always as bad as we imagine they are going to be. It should almost be required reading for those just about to start ‘big school’. February and March seem to have been particularly busy months when it comes to reading. Not all of the books have been long, difficult or challenging but I have had a great time looking at a wide range of books, which really shows the great strength of children’s publishing at the moment. Some books will become classics, whilst other will eventually gather dust, but it is just to wonderful to have the range of books which we can recommend to young readers and potential readers.